I’m wondering why is ‘hedging your bets’ an incorrect attitude towards religion? Why does it makes sense to commit 100% to something that you don’t beleive 100%. My conviction level is around 60%-70%. I once heard you say that the analogy here should be a quarterback throwing a football, but I would love to hear you elaborate on that because to me it doesn’t seem like something which is all or none like a completion in football. Isn’t there reward and punishment based on everything we do every minute or every second? I wish I had asked you this a long time ago. The QB knows the probability of successfully completing the pass is 80%. Does he throw the ball 80% of the distance? You will estimate the probability of the success of your marriage at, say, 90%. Do you then make a 90% effort, rather than a 100% effort? Isn’t there reward and punishment based on everything we do every minute or every second? Yes. And since probability tells us that commitment is our best option, it makes sense to give it maximum effort. I wish I had asked you this a long time ago. By the way, would you mind if I post this letter - without identifying you in any way - on my blog? 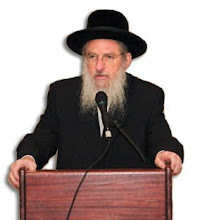 Rabbi Gottlieb, by all means you can post this. I got very excited when I saw the new blog link on your website a few days ago, and I’m looking forward to learning from it. I would just like to follow up and say that I agree that with most decisions, people don’t know 100% that things will work out, and yet they choose one of the alternative and give it a 100% effort. I think my difficulty is that religion seems to be an exception because by other decisions, like throwing a football and marriage, there is no chance of success without 100% effort (or close to 100%). I think a lot of people feel comfortable with a ‘hedging your bets’ religious lifestyle because it seems like you can easily succeed without 100% effort. I know many Jews who observe the “main mitzvos”, meaning they avoid losing their olam haba, and after that minimal effort is invested (plus whatever they feel like doing, plus whatever they feel like they have to do because of social pressure), they take the attitude that one in the hand is better than two in the bush, so even though olam haba is much more pleasurable, if it exists, I’d rather not take things so seriously in this world, not always make it to shul, talk lashon hara, etc., then I’ll know that I lived pleasurably in this world, plus I’ll get some level of olam haba, if it’s there. In finance, putting everything you have into the high-return investment can sometimes leave you empty-handed (like with bernie madoff). It’s not such an uplifting hashkafa, but I had a conversation with an old friend’s father recently who thinks this way, and the reasoning just won’t leave me alone. It’s a position that seems wrong, but I can’t figure out why. I would just like to follow up and say that I agree that with most decisions, people don't know 100% that things will work out, and yet they choose one of the alternative and give it a 100% effort. I think my difficulty is that religion seems to be an exception because by other decisions, like throwing a football and marriage, there is no chance of success without 100% effort (or close to 100%). I think a lot of people feel comfortable with a 'hedging your bets' religious lifestyle because it seems like you can easily succeed without 100% effort. I know many Jews who observe the "main mitzvos", meaning they avoid losing their olam haba, and after that minimal effort is invested (plus whatever they feel like doing, plus whatever they feel like they have to do because of social pressure), they take the attitude that one in the hand is better than two in the bush, so even though olam haba is much more pleasurable, if it exists, I'd rather not take things so seriously in this world, not always make it to shul, talk lashon hara, etc., then I'll know that I lived pleasurably in this world, plus I'll get some level of olam haba, if it's there. I think this now is a different question. If you ask why it is reasonable to make a maximum effort, then the answer I gave before applies. If you ask how I can motivate myself to give the maximum effort, that is a psychological question - one that I am not really qualified to answer. A mixed strategy of pursuing two or more different goods, each with partial effort, makes sense for goods that have finite value. But when one good has infinite value and the other has only finite value, it makes no sense. Now the Torah offers eternal reward, and that is infinite, whereas anything in this world has only finite value. In finance, putting everything you have into the high-return investment can sometimes leave you empty-handed (like with bernie madoff). It's not such an uplifting hashkafa, but I had a conversation with an old friend's father recently who thinks this way, and the reasoning just won't leave me alone. It's a position that seems wrong, but I can't figure out why. The question is asked: G-d promises that the Jewish people will be as numerous as the stars of the heavens and as the sand of the seashore. But this never happened - indeed, it is impossible. So what is the status of those those promises? Joshua 11:4 - They [a coalition of local kings and their armies] came out with all their troops and a large number of horses and chariots—a huge army, as numerous as the sand on the seashore. Samuel 17:11 - "So I advise you: Let all Israel, from Dan to Beersheba—as numerous as the sand on the seashore—be gathered to you, with you yourself leading them into battle. Nachum 3:15 - You have increased the number of your merchants till they are more than the stars of the sky, but like locusts they strip the land and then fly away. Thus it is incorrect to say that the promises have not been, or could not be fulfilled.